TV One’s signature, award winning music biography series “Unsung” continues a brand new season with an all-new episode featuring R&B singer Deborah Cox on Sunday, March 18 at 9/8C. Deborah Cox became a worldwide star in the late 90s when her breakthrough hit “Nobody’s Supposed To Be Here” took over the R&B charts for 14 weeks. A singer and songwriter groomed by the legendary Clive Davis, Deborah became known for tender R&B songs like “Sentimental” and her duet with R.L. of Next, “We Can’t Be Friends.” While rising on the R&B side, she also burned up the dance floor with infectious remixes to songs like “Absolutely Not,” leading to 13 #1 Dance hits. Deborah is also an accomplished stage actor, starring in musicals Aida, Jekyll & Hyde, and The Bodyguard. Long before dominating the charts or the stage, Deborah’s journey began in Toronto, Canada where, despite her reputation as a top singer, she was rejected by every major record label in the country. 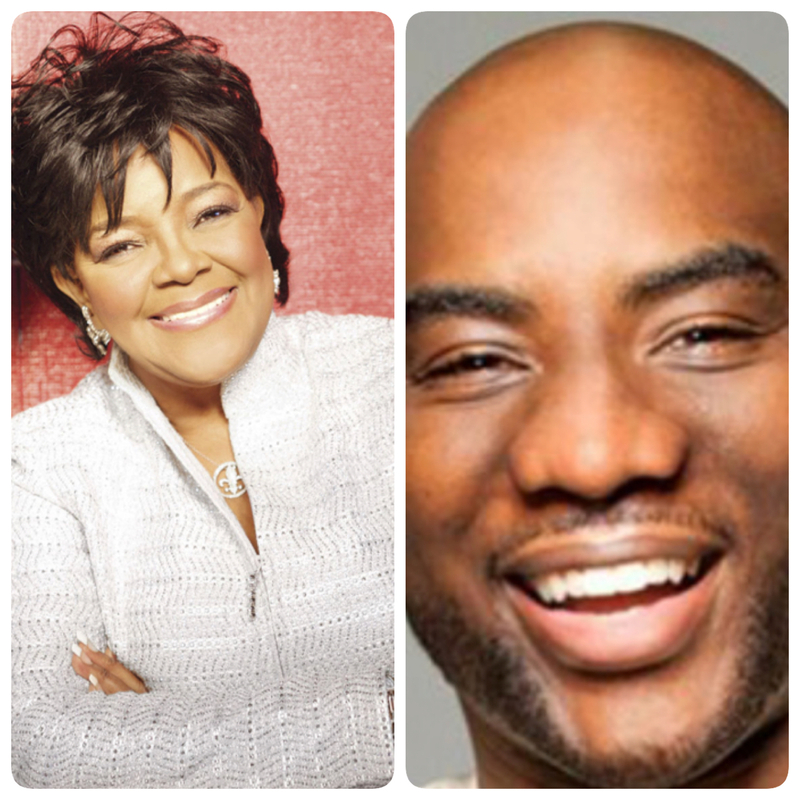 In this episode of “Unsung”, friends and colleagues who know her best including Angela Bassett, Clive Davis, Warryn Campbell and R.L. from Next provide perspective on her prolific talent and career, while Cox takes us backstage at her current smash musical “The Bodyguard” and shares her insights on how she has sustained her longevity in the music business. Through first-hand accounts, interviews with family and friends, and archival footage, each episode of TV One’s signature series “Unsung” sheds much-deserved light on some of the most influential and talented R&B, soul, funk, hip hop, disco, and gospel artists of the last 30 years. 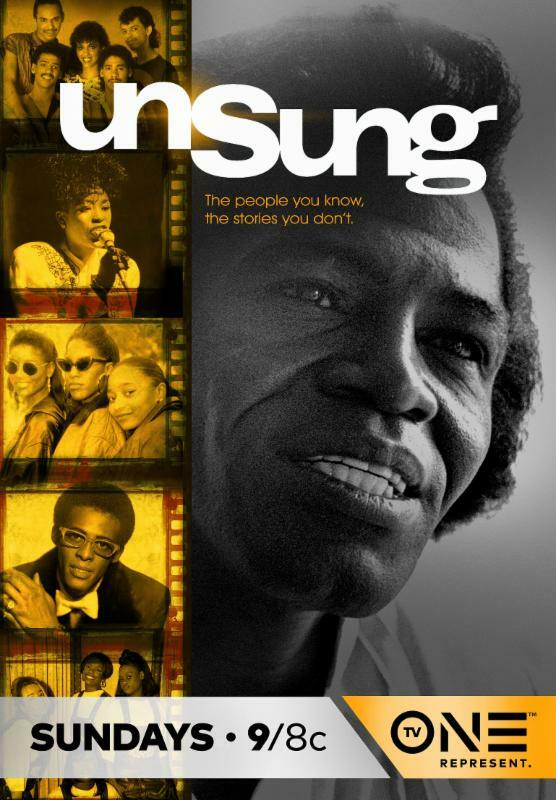 In its second week of premiere, “Unsung” delivered a combined reach of 1.4 million total unique viewers with “Uncensored.” In upcoming episodes featuring Avant, Shirley Caesar, Brand Nubian, and Lost Boyz, season 12 of TV One’s critically acclaimed and award-winning Unsung uncovers the personal triumphs and struggles of these musical legends. 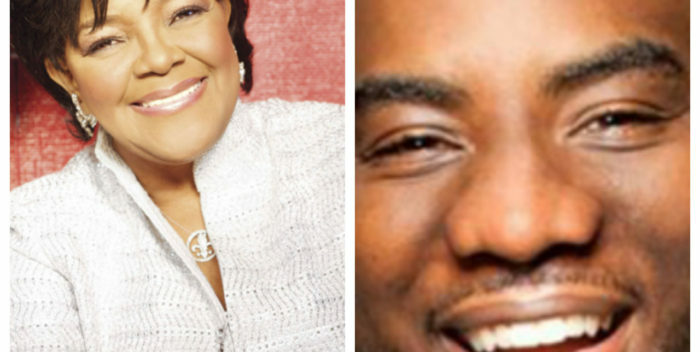 Radio personality Charlamagne Tha God is popular not only among his listeners, but also the celebrities he sits down with. 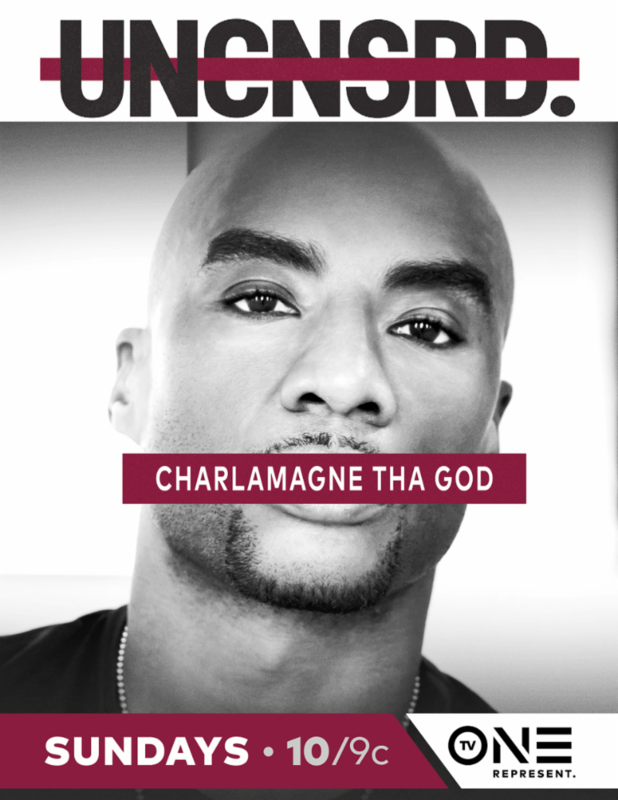 TV One’s “Uncensored,” a hit new autobiography series that features the first-person accounts of today’s hottest celebrities, will turn the tables on the blunt interviewer on Sunday, March 18 at 10/9C to learn how Lenard McKelvey became Charlamagne Tha God. In its first season, “Uncensored” dives deep into the lives of your favorite personalities as they reveal secrets to their success, obstacles they’ve faced, and how they manage this new world of social media that has helped but sometimes haunted their careers. In its second week, “Uncensored” with Tamar Braxton was the #1 telecast on Ad-supported Cable at 10 p.m. ET among African- Americans P25-54, experiencing growth over last week’s debut among Total P25-54 (+12%) and W25-54 (+5%). 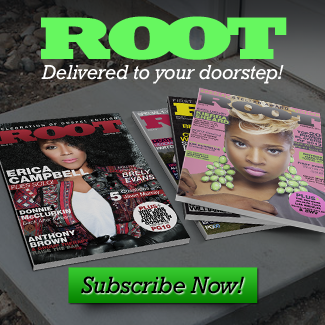 The 10-episode autobiographical series gives unprecedented access to stars of film, television, music, and pop culture, with upcoming episodes featuring La La Anthony, Snoop Dogg, NeNe Leakes, and Le’Andria Johnson as they personally reveal their own stories, in their own words, in the places their stories unfolded. 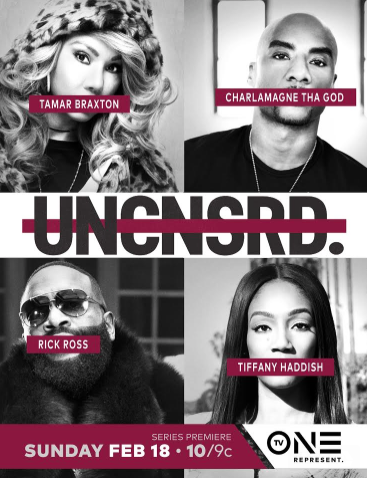 SILVER SPRING, MD – March 8, 2018 – On Sunday, February 25, the premiere of Uncensored: Tamar Braxton, was the #1 telecast on Ad-supported Cable at 10 p.m. ET among African- Americans P25-54, experiencing growth over last week’s debut among Total P25-54 (+12%) and W25-54 (+5%). TV One’s back-to-back premieres of the autobiographical series Uncensored: Tamar Braxton and Unsung: The Boys also ranked among the Top 5 telecasts on Ad-supported Cable among African-Americans P25-54 for the second week in a row from 9-11 p.m. ET, ranking #3 and #5, respectively (L+3). Premieres of Uncensored and Unsung both saw audience growth among P25-54 over the prior week’s strong premieres on Sunday, February 18, with Unsung: The Boys earning a .47 P25-54 (+3%), and .65 Household rating from 9 p.m. to 10 p.m. ET (L+3). The premiere of Uncensored: Tamar Braxton delivered a .54 P25-54 and .72 Household rating, from 10 p.m. to 11 p.m. ET (L+3). And, both shows delivered a combined reach of 1.4 Million Total Unique Viewers 2+ for the night, driving TV One to once again rank among the Top 5 Cable networks in primetime on Sunday night among African-Americans P25-54 (#5).